The perfect treat for dry, cracked hands and nails- Indulge in a pampering manicure to buff up the nails and smooth the skin. 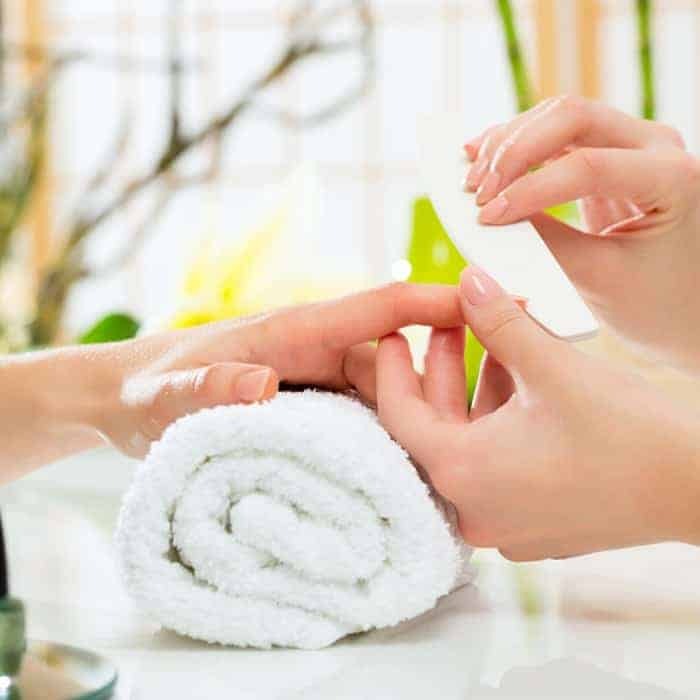 Includes file, buff, soak, cuticle repair, hand massage and polish. French Polish & Paraffin Treatment also available.